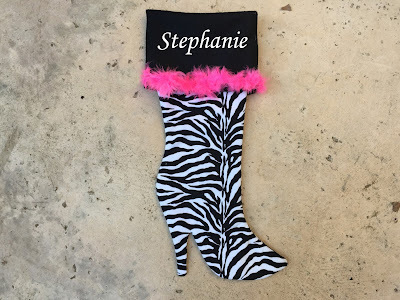 madaboutmint: Zebra print Christmas stocking, animal print stocking. What color goes best with it for a festive Christmas? They are all indeed looking good and beautiful. 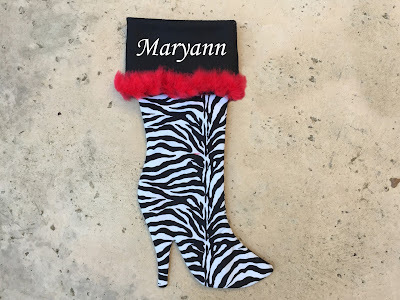 They will be the best gift for someone who loves dogs in the days of Christmas. Well I really want one for my own dog. Thank you!!! So sweet of you to say. I LOVE making them and so honored when people choose my creations to display for such a wonderful Holiday.